Structure is a bond sizing and structuring tool that generates complete financing solutions from simple level debt service structures, to complex common finance plans over multi-year borrowing programs and detailed revenue constraints. Users can visually interact with Structure to determine the optimum finance plan including on the fly selection of refunded bonds. Import bond data directly from Stage I analysis. Solve directly for refunded bonds based upon revenue constraints of the problem. Patent pending SmartModels™ Viewer technology allows user to visually interact with problem to determine refined solutions in fractions of the time. 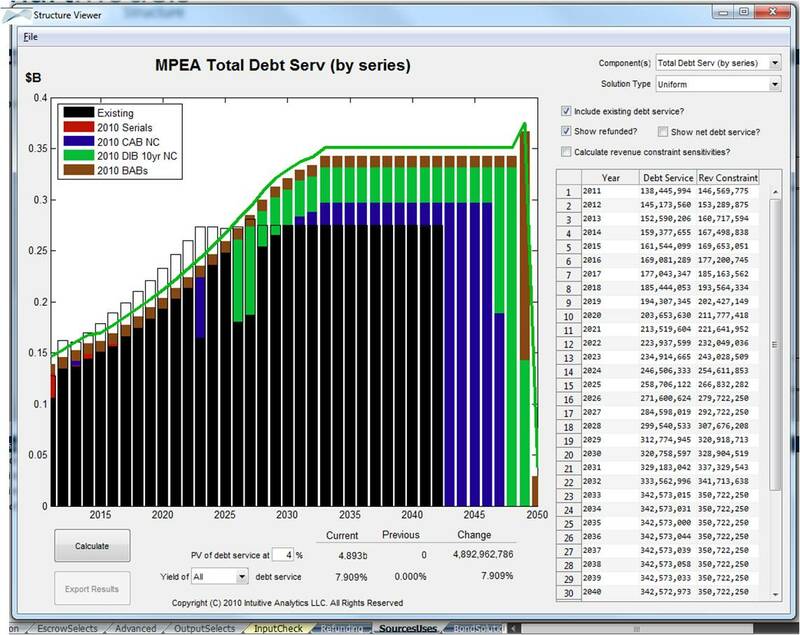 Load multiple new yield scales and bond structures. Familiar Excel front-end provides for easy extensions for custom modeling. 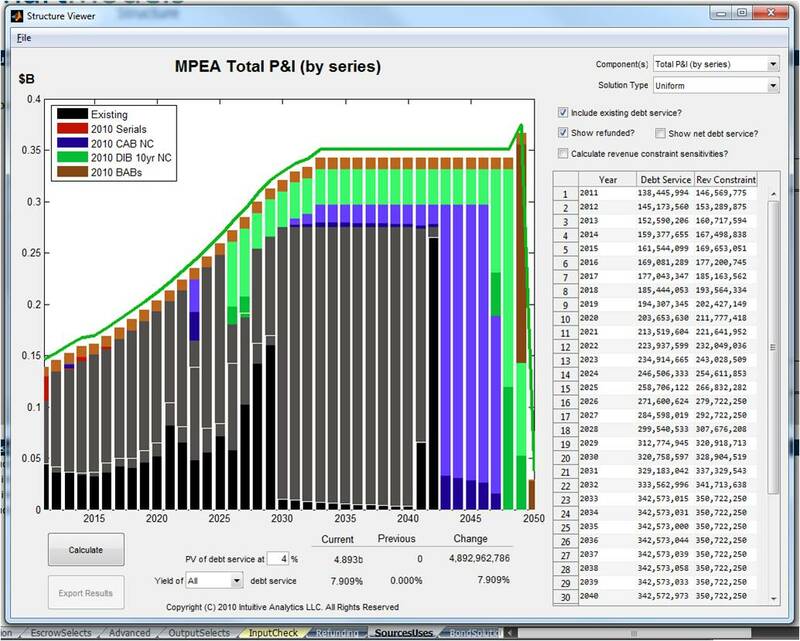 Summary and detailed output schedules and charts allow quick inspection of solutions.